I am passionate about floristry and have spent the last nine years building up my own flower business. I love working with flowers and pride myself on the personal service I give to all my clients, listening to what they really want and aiming to exceed their expectations every time. I am very lucky to have found a job I love, but in truth I couldn’t have started off further from floristry if I’d tried. After graduating with a degree in French and Italian, I landed a job on the trading floor of a large French bank. A City career was exciting and challenging but never enough to satisfy my creative side. My best friend's wedding was the turning point. Doing her flowers left me with a wonderful feeling of appreciation for both the practical and hard work of floristry as well as its opportunities for creativity. I soon quit my job and enrolled on a floristry course at McQueens, one of London's leading flower schools. Soon after completing I was hired by McQueens and I worked both on their shop floor and installing the weekly and seasonal flower displays at London hotels including Claridges and The Connaught. Today I work from my home studio in London Fields and I specialise in Weddings and events. My work has recently featured in venues across London and further afield, such as Clapton Country Club, Trinity Buoy Wharf, The Hawksmoor Guildhall, Lincoln's Inn, Dartmouth House, Gosfield Hall and Stansted House. 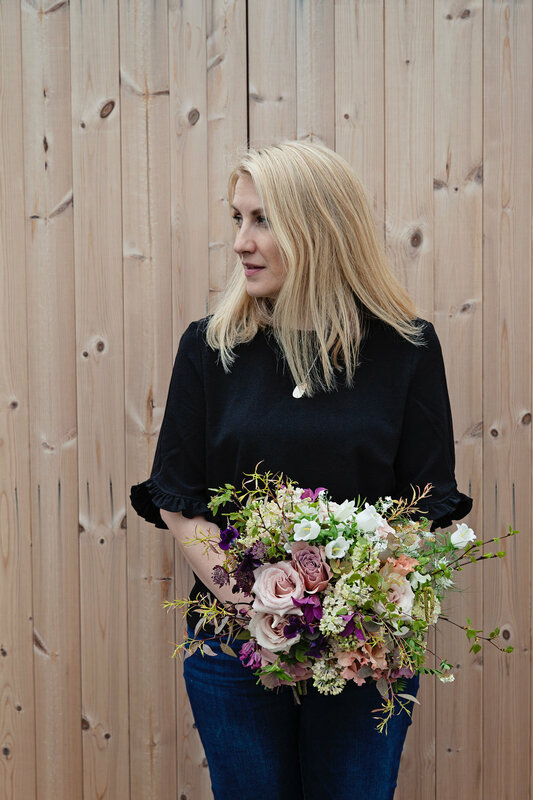 I also run floristry workshops and having been working in collaboration with Hackney Arts and also Carousel London providing group classes to people who want to get more creative with flowers themselves. If you need flowers for a wedding, event or any special occasion I would be delighted to hear from you.